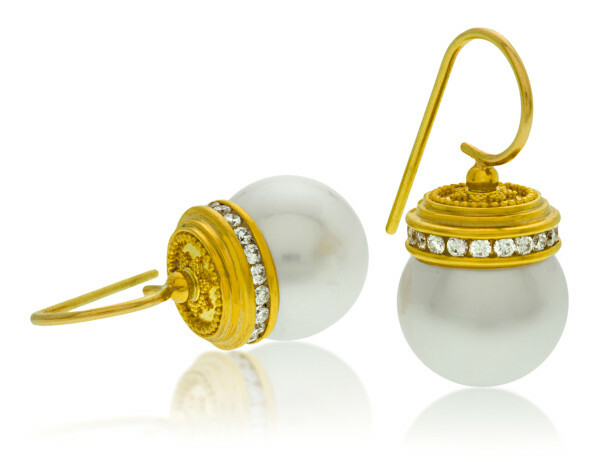 22K gold featuring approximately 12.2mm South Seas pearls and adorned with 0.63 ctw diamond. Ear wires are in 18 K gold. Approximately 1 1/16” high.